Landing pages are an essential part of any online marketing campaign. In fact, increasing your number of landing pages from 10 to 15 can increase your sales by as much as 55 percent. However, creating a successful landing page can be tricky, especially if you’re not experienced with the work needed to launch one. Even though you may have many landing pages, customers won’t necessarily engage with them automatically. 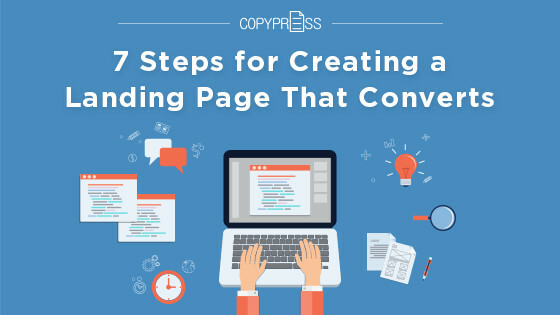 Use the tips below to create landing pages that will make sales, gain new customers, or whatever else you’d like to accomplish. No matter how many spiffy videos and killer graphics you have, they’ll be meaningless without a call to action. The goal of a landing page is to let customers know what steps they should take next regarding your products or services. When crafting the call to action, place it in a centralized location on a webpage. It should be an obvious link or button that people can click on; avoid placing it inside a paragraph or without special formatting. Ideally, you should have a call to action above the fold and below the fold in case people are scanning an article quickly. Customers are taking less and less time to read, especially online. It’s a fast-paced world, and people simply do not have the time to sift through a dense page filled with information. That’s why videos are becoming popular for marketing. These quick snippets of sound and images enable a customer to learn more information in a faster amount of time. In many cases, they are more memorable than simply reading through information. Since videos are more engaging, they also lead to higher conversion rates. One study performed with the educational site TutorVista found that adding a video to one of its landing pages increased conversion rates by 86 percent. Additionally, elements such as bold graphics, infographics, and other forms of interactive media are all crucial to your landing page’s success. When writing copy for your landing page, you may be tempted to explain all the great services and products your company offers. Don’t do it. Landing pages should be tailored to one specific service, idea, or product. You don’t want to overwhelm your customers with data. Instead, use landing pages as a singular opportunity to draw them in. Once you’ve piqued their interest, they’ll take it upon themselves to research your other offerings, especially if your landing page leads them on a certain path. 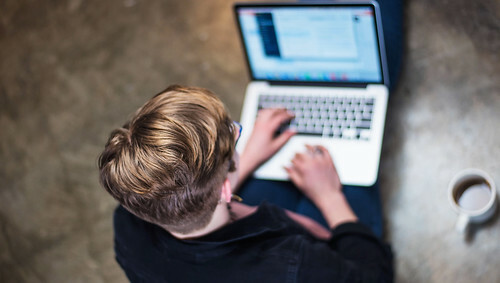 In terms of content for your landing page, this approach typically involves leaving out company philosophies, navigation bars, and hefty information forms. Instead, keep content and forms to a minimum so that customers have fewer options for clicking away to a new page and getting distracted. Studies show that eight out of 10 people read the headline in an article, but only two out of 10 continue on to read the rest of the copy. As such, you’ll need to up your headline writing game. Instead of creating long and tedious headlines to try and convey as much information as possible, stick to concise, precise phrases. Overall, you want to try and grab readers’ attentions so they’ll be forced to continue reading. Overall, the headline should promise them information; you’ll need to deliver that information in the text that follows. Writing copy for a landing page takes a certain type of prowess, as you don’t want to be too verbose or too curt. Part of this prowess involves keeping all the important details above the fold. If you’re not familiar with the term, it’s basically an imaginary line that splits the page in half. Everything that the reader has to scroll down to see is below the fold. Many readers today don’t take the time to scroll down and peruse the rest of the page, which is why all-important content should be first. Obviously, you shouldn’t completely clutter the top of the screen with information, as a potential customer will simply get visually frustrated. To strike a balance, try splitting the page into two columns with information on dual sides. Many people are wary about landing pages. They are clearly crafted to sell, and they may be filled with legerdemain and exaggeration. One way to combat this mindset is to provide testimonials from current and former customers. Curate a base of positive comments by asking your customers their honest opinions about your company. Doing so will give you honest feedback that sounds more natural. One tactic you should never do is create fake testimonials. These false statements often come off as cheesy and ridiculous, and they can get you in trouble with the law. If your business is new and you don’t have testimonials, skip this part for now and simply add them when you have the chance. As previously mentioned, people are often wary of businesses attempting to push their products or services onto them online. By establishing many ways that people can contact you, they’ll feel like your business is a bit more legitimate. Often, sketchy businesses don’t have any contact info or they may offer only an email address as a form of contact. Help your business stand out by providing a customer service phone number, chat box, and map with your physical location. This level of detail will give customers peace of mind and make them more open to your landing page’s persuasion. The items above aren’t the only details to think about when creating a landing page that converts, but they’re a good start. Whatever you do, make sure to consult with a professional designer so that your page has an aesthetically pleasing and clean design that will attract customers. With a modern design as well as all the elements described above, your pages should have no problem attracting the customers your business deserves.